If you have a sports-related injury, you’re probably aware that working with a physical therapist is a great way to rehab and return to the field. But did you know acupuncture actually complements physical therapy nicely? 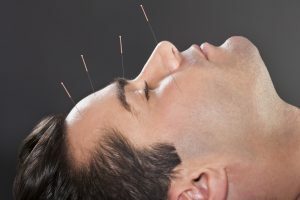 Acupuncture is an ancient healing technique used in traditional Chinese medicine. Acupuncture works to improve the way your body functions and promotes its natural self-healing ability. In acupuncture, extremely thin needles are used to stimulate specific sites on your body. These sites are know as acupoints. The needles are inserted into the acupoints and manipulated by the practitioner during treatment. However, other methods of stimulation can also be used. Pressure, heat, cupping, massage and electrical stimulation are also effective. The needles are not inserted deeply so you should feel very little discomfort during treatment. The needles are left inserted for 10 to 20 minutes while you relax. There is no pain when the needles are removed. Yes! In 1997, the U.S. National Institutes of Health (NIH) lauded acupuncture’s safety and effectiveness at treating a wide range of health concerns. Further research on the practice has documented acupuncture’s positive effects on the body’s nervous, endocrine, immune, cardiovascular and digestive systems. Today, many insurance companies include acupuncture as a benefit when it’s used to relieve body pain. Risks associated with acupuncture are low. You might experience some muscle soreness or minor bruising following a session. If the needles aren’t sterile, you could risk a skin infection. Additionally, pregnant women, people with bleeding disorders or those with pacemakers should not have acupuncture. Ready to learn more about how we use acupuncture to get athletes back in the game? Give us a call today at (904) 634-0640 for more information.